This is a fine art portrait. 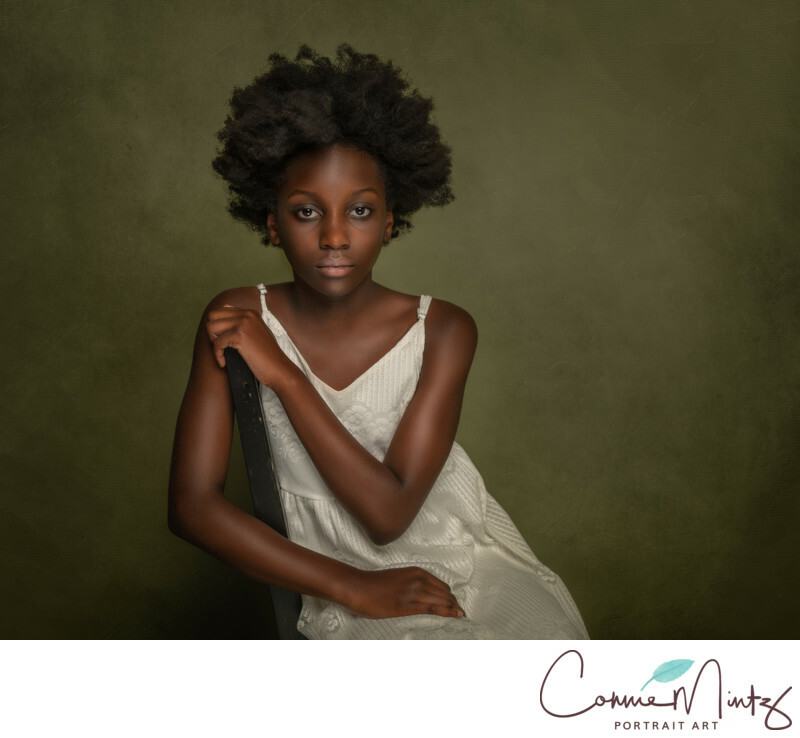 Nellie is in a white dress sitting on a chair agains a green backdrop. The lighting is dramatic and she has a more serious expression . Location: 300 E 13th St Vancouver WA 98660. Keywords: black (6), brown (9), children (27), fine art (21), girl (36), green (9), studio (78). 1/80; f/2.8; ISO 64; 35.0 mm.